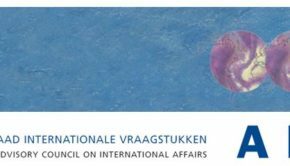 In the same week that the United States announced its withdrawal from the INF-treaty, the Dutch Advisory Council on International Affairs (AIV) published an advice titled ‘Nuclear weapons in a new geopolitical reality. An urgent need for new arms control initiatives’. This advice came after a request by the Dutch Government for an advice about the future role of nuclear weapons. The 116 page-report includes ten recommendations. 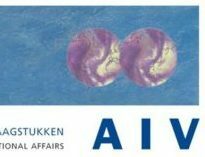 The AIV for instance recommends that the Netherlands should submit a proposal to the General Assembly of the United Nations to set up an authoritative international commission, similar to the World Commission on Environment and Development. Another recommendation of the AIV is that the new Dutch F-35 fighter jets should maintain the nuclear task (DCA task). PAX published a joint first reaction together with the Dutch Red Cross immediately after the publication of the report (in Dutch). On the 5th of March, the Dutch members of parliament had the possibility to ask questions to the AIV. In anticipation of this meeting PAX published its second policy brief (in Dutch) about the advice. The Dutch Government will give a reaction to the AIV-advice no later than May 1. After this reaction there will be a parliamentary debate. The Advisory Council on International Affairs (AIV) is an independent body that advises government and parliament on foreign policy. The AIV produces reports at the request of the Dutch government or parliament, but can also produce reports on its own initiative. Former Secretary-General of NATO Jaap de Hoop Scheffer, former Dutch Minister of Defense, Joris Voorhoeve, and former Dutch Minister of Justice and Interior, Ernst Hirsch Ballin, were, among others, involved in writing this advice. Remco Frank Remco Frank is a Project Officer Nuclear Disarmament at PAX. Previously he worked at the Communications and Public Affairs departments of PAX. Remco studied Political Science and Conflict studies and spent a semester abroad in Moscow.